The recent recommendation issued by the U.S. Preventive Services Task Force to revise screening mammography guidelines has generated considerable confusion and worry among women and their loved ones, says Carl Dâ€™Orsi, MD, FACR, director of the Emory Breast Imaging Center. D’Orsi says he is counseling women who are concerned about mammograms and deciding what screening schedule to follow that they should use the long-established American Cancer Society guidelines: annual screening using mammography and clinical breast examination for all women beginning at age 40. The recent recommendations by the task force advise against regular mammography screening for women between ages 40 and 49. It suggests that mammograms should be provided every other year (rather than yearly) for women between ages 50 and 74, and then breast cancer screening in women over 74 should be discontinued. Mammography is not a perfect test, but it has unquestionably been shown to save lives, says Dâ€™Orsi, professor of radiology and of hematology and oncology in the Emory’s School of Medicine, and program director for oncologic imaging at Winship Cancer Institute of Emory. Since the onset of regular mammography screening in 1990, the mortality rate from breast cancer, which had been unchanged for the preceding 50 years, has decreased by 30 percent. These new recommendations – which are based on a review that did not include experts in breast cancer detection and diagnosis – ignore valid scientific data and place a great many women at risk, continues Dâ€™Orsi. Ignoring direct scientific evidence from large clinical trials, notes D’Orsi, the task force based its recommendations to reduce breast cancer screening on conflicting computer models and the unsupported and discredited idea that the parameters of mammography screening change abruptly at age 50. 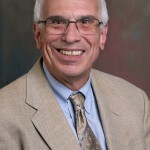 The task force commissioned their own modeling study and made recommendations in reliance on this study before the study had ever been published, made public or held to critical peer review, and did not use both randomized, controlled trials and already-existing modeling studies, explains D’Orsi. If Medicare and private insurers adopt these flawed recommendations as a rationale for refusing women coverage of these life-saving exams, it could have deadly effects for American women, says D’Orsi.